The summer bedding’s starting to fade a bit now but there’s plenty of autumn and winter bedding appearing at the garden centres to give instant colour now and into the winter. I potted up a couple of planters with pansies to show off the flowers to their best advantage. 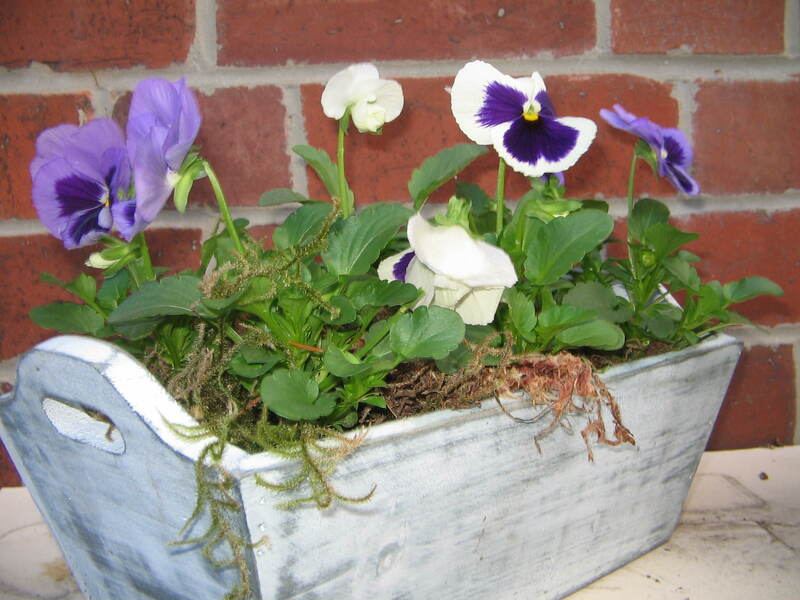 This is a simple wooden box with a pack of winter pansies potted into it and just finished with a little moss to smarten the surface up a bit. It’ll need nothing more than a bit of water when it’s dry and an occasional deadheading session to keep it tidy. The flowers will carry on right through to the spring. 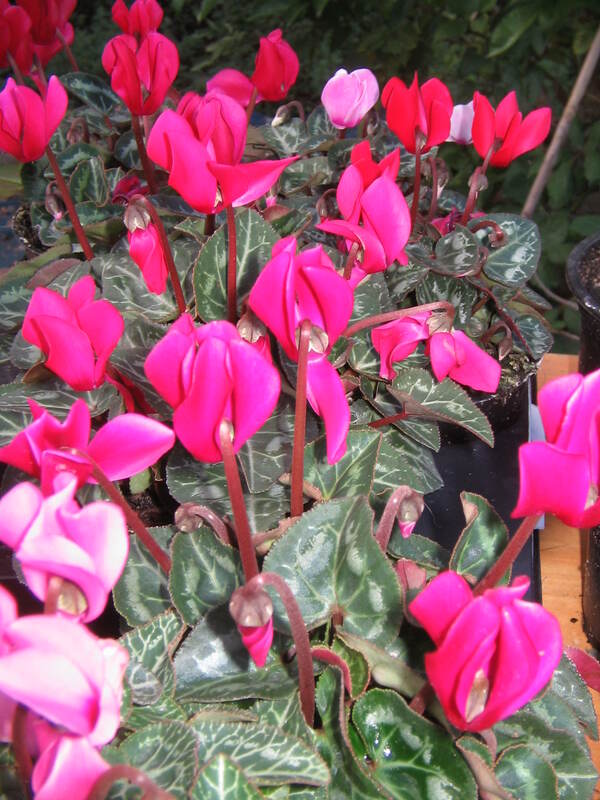 As good and very popular this year are hardy cyclamen. Some have a lovely scent and they’re much more readily available than they used to be. They look delicate but they’ll withstand quite a bit of winter weather and with a bit of luck they’ll come back year after year.